Install Barcode Generator on Rackspace Cloud Sites to get your own Barcode Generator within few minutes. Who needs a third party to generate Barcode again. Previously we published the guide on how to Install QR Code Generator on Rackspace Cloud Sites, this time for Barcode, this guide to Install Barcode Generator on Rackspace Cloud Sites. You can click here to see what you will get after following this guide to install Barcode Generator here. 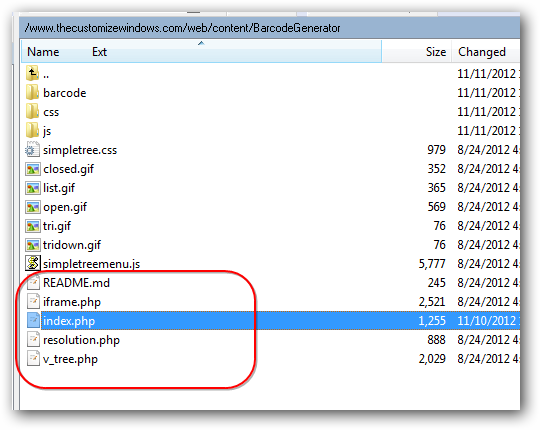 BarodeGenerator is our subfolder’s name, you must replace with your own. Regarding .htaccess, if your root has good security, there is not much need to use a separate .htaccess. This Article Has Been Shared 5363 Times! Cite this article as: Abhishek Ghosh, "Install Barcode Generator on Rackspace Cloud Sites," in The Customize Windows, November 10, 2012, April 18, 2019, https://thecustomizewindows.com/2012/11/install-barcode-generator-on-rackspace-cloud-sites/.